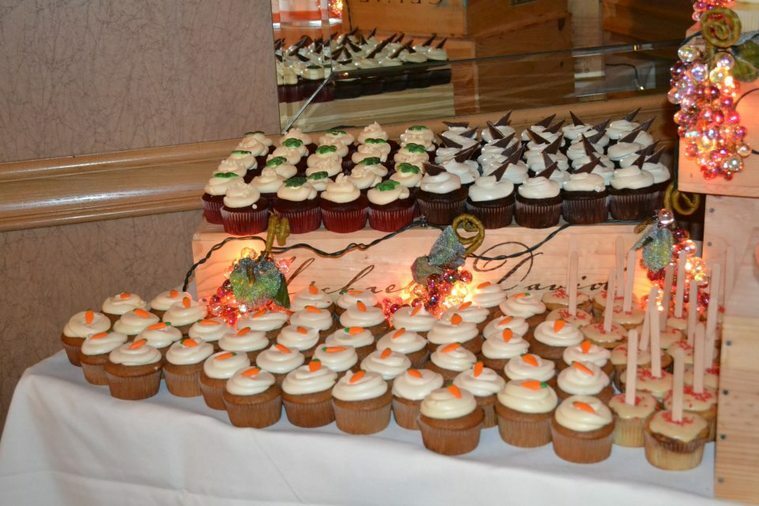 Cupcakes are a fabulous alternative to traditional wedding cakes and have become quite the trend at today's receptions. Not only do your guests get the option of many different flavor choices, but it is also nice to be able to skip the wait for staff to cut up the cake! 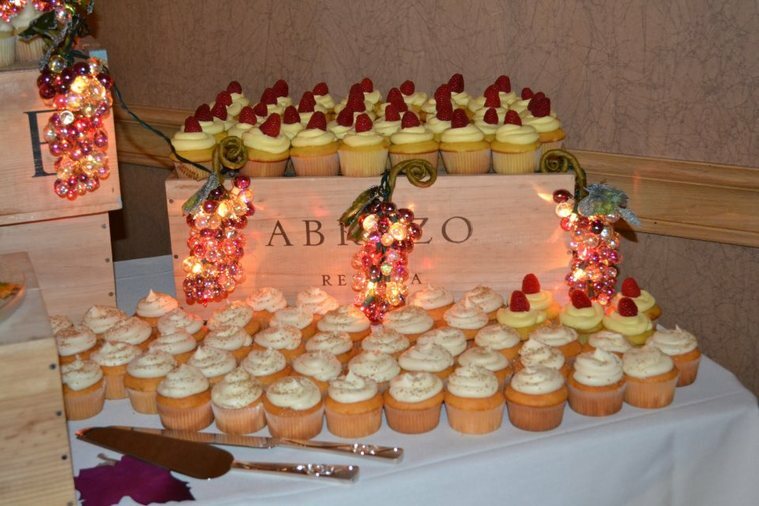 Plus, the bride and groom get the option to have the cupcakes served or invite guests to serve themselves. 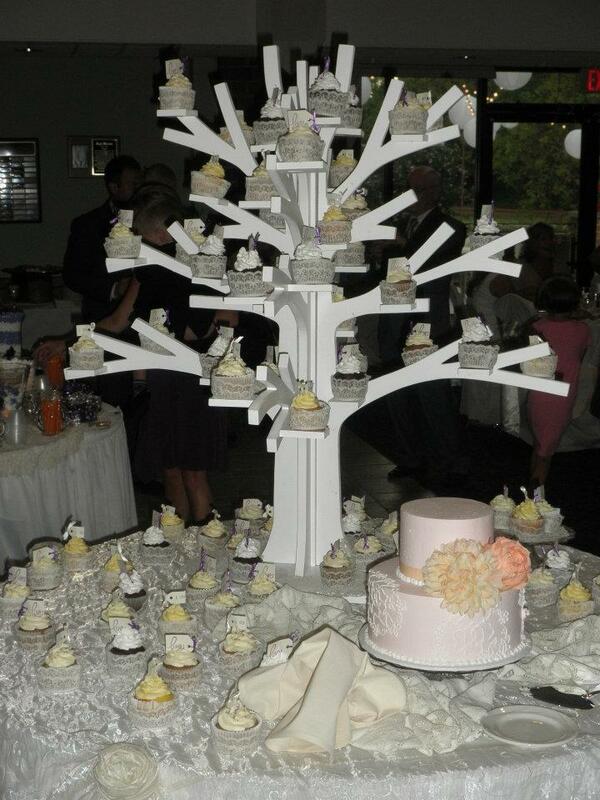 Cupcakes look elegant served on a tall stand or you can display them your own way. We will work together to decide what is right for you and your wedding! *All wedding orders require a 30-day notice and a non-refundable $100 deposit is due at that time. It will go towards the entire cost of your event. *Delivery/Set-Up is also available and starts at $50. 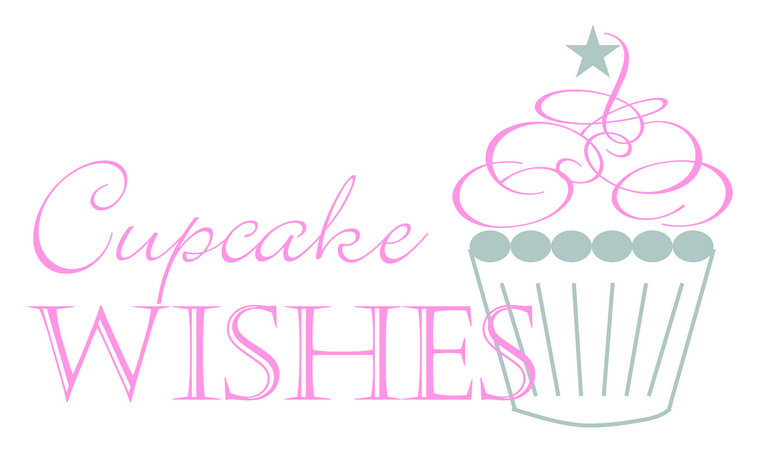 Cupcake Tasting is available! 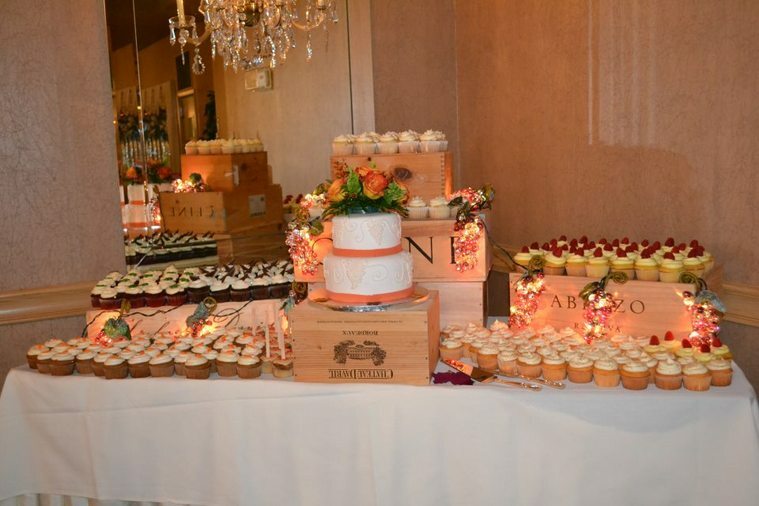 We want you to be sure you are pleased with your choices for your special day. Favor boxes are available for $2.50 each. 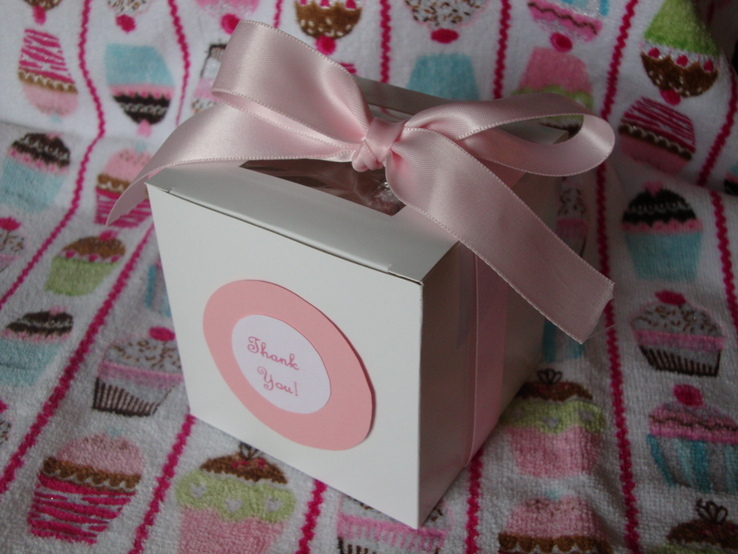 Any color ribbon and custom "thank you" sticker included.